Carefully assembled over 45 years by noted bibliophile, activist and collector Lisa Unger Baskin, the collection includes more than 8,600 rare books and thousands of manuscripts, journals, ephemera and artifacts, including Woolf’s desk. Baskin Unger acquired the desk from Colin Franklin, and it became one of “the most iconic items” in her collection, which is described as one of the largest and most significant private collections on women’s history. The desk now in Duke University’s possession is apparently Woolf’s original stand-up desk with its legs shortened to suit Olivia Bell. The David M. Rubenstein Rare Book & Manuscript Library at Duke University acquired Unger’s collection around 2015, catalogued it, and has now launched an exhibition at Duke that will travel to New York’s Grolier Club from December 11, 2019, through February 8, 2020. Everyone talks about it -- even Virginia. Find out more in Reading the Skies by Paula Maggio. Then read the latest news about how weather influences history. 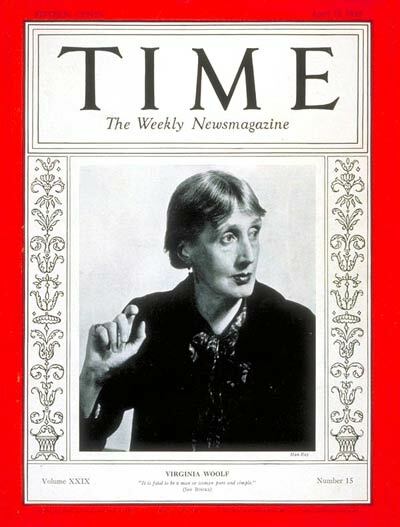 Got Woolf news, events, links?